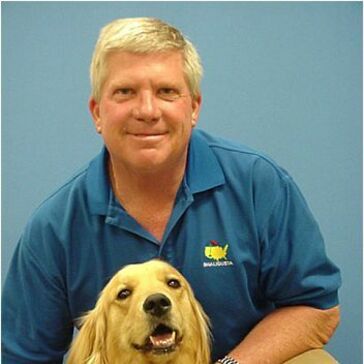 Golf Instructor and Coach at Antelope Hills G.C. as a Life Member of the PGA Philosophy on being a Golf Professional: “They don’t care how much you know until they know how much you care.” I care about others. Having a servant attitude - to your members, community and staff - is key to being a good golf professional. GOLF – stands for Great Opportunities, Lifetime Friends. Make Golf Great Again by playing in a Safe, Fast & Courteous manner. I have enjoyed many experiences and been blessed beyond my wildest dreams and I attempt to give back to others the opportunities and memorable experiences that are available through the game of golf. •	Instituted a Disabled Veterans’ Golf Program in 2012 in conjunction with the Northern AZ VA Medical Center to introduce golf to disabled veterans and provide them with golf equipment, golf instruction and on-going golf rounds for them at no charge. So far, have graduated over 100 Veterans with our one day a week, 5-week sessions. •	Certified Titleist Performance Institute instructor & Certified Henry Griffitts clubfitter •	Ingrid (my faithful companion and Therapy Dog) and I were members of the Hospice of the Valley Pet Therapy Team and continue to serve various organizations in Prescott with visits to hospitals & assisted care facilities.